Stesen Sentral, the state-of-the-art transportation hub for Kuala Lumpur’s integrated rail transportation, seamlessly links all urban and suburban residential, commercial and industrial areas. It is a direct link to Kuala Lumpur International Airport, Putrajaya (the Federal Government Administrative Centre), Cyberjaya and key areas within the Multimedia Super Corridor. 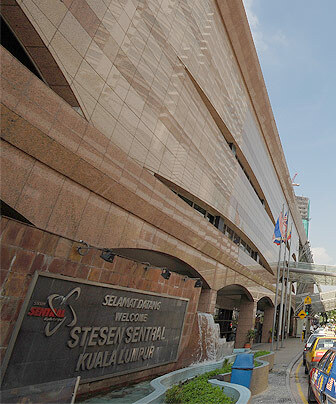 Stesen Sentral was awarded Best Steel Roof Design and Honorary Mention for Excellence in Architecture by Persatuan Arkitek Malaysia in 2002 and 2003 respectively. It was also a winner of the FIABCI-Malaysia Award of Distinction 2002 (Public Sector Category) and a finalist in the FIABCI Prix d’Excellence Awards in 2003. Government of Malaysia / Kuala Lumpur Sentral Sdn. Bhd.